This post is the first one in a very long time and I write it with a certain melancholy. After writing almost every week for the first 14-15 months, 2015 was a fairly quiet affair. During the first part of the year, although some posts were ready on paper, I did not have a computer. Then, when back online and roaring to go, I was offered the opportunity to move abroad for an internal promotion… and I spent August packing. End of September, after 15 years in the UK and the last 6 in Islington, I took my suitcases and head off to Spain! I will publish the few posts drafted early 2015 but after that it will be tricky to carry on from Spain and not being able to walk around Islington to take pictures. 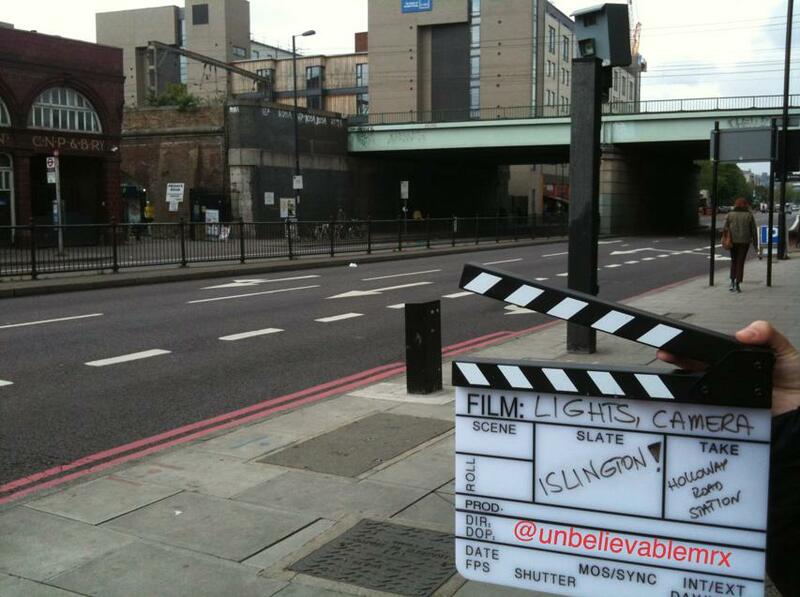 Talking of which, the Islington Film Locations Map will now be opened to everyone who knows and wishes to share with us an Islington film location. I hope to see this map growing and growing. Thanks to everyone who dropped by at some point, followed the blog, enjoyed it and commented on it! 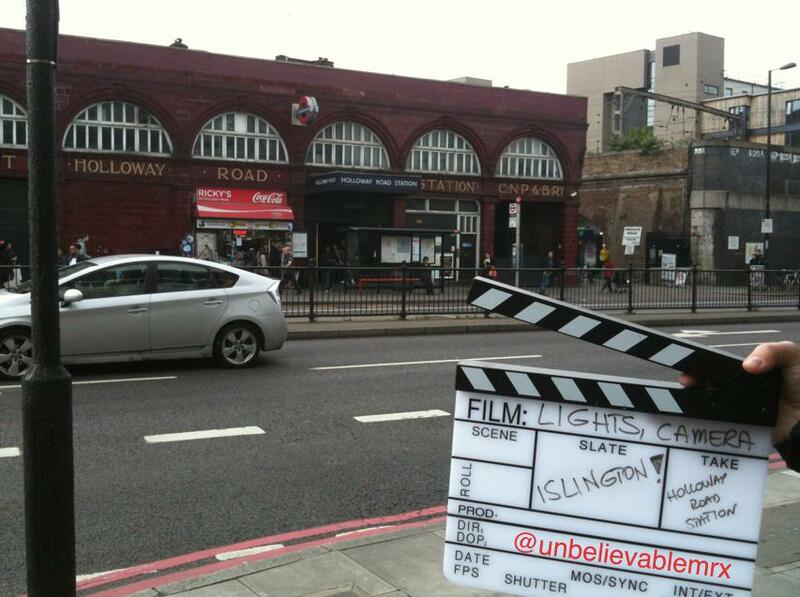 You never know what the future may have in mind and maybe we’ll have a Lights, Camera…Islington! sequel in a few years time but for now, it is …So long, farewell, au revoir, auf wiedersehen, goodbye! No posts for some time due to a technical issue but that shouldn’t stop you from reading the blog, visiting and (re)discovering Islington! As a body-builder, turned actor, turned Governor, (re)turned actor once said : I’ll be back! Opened by Prince Albert in June 1855, the London Metropolitan Cattle Market was established by the City of London in order to supplement Smithfield market. Smithfield will concentrate on meat whereas the new market on live cattle. 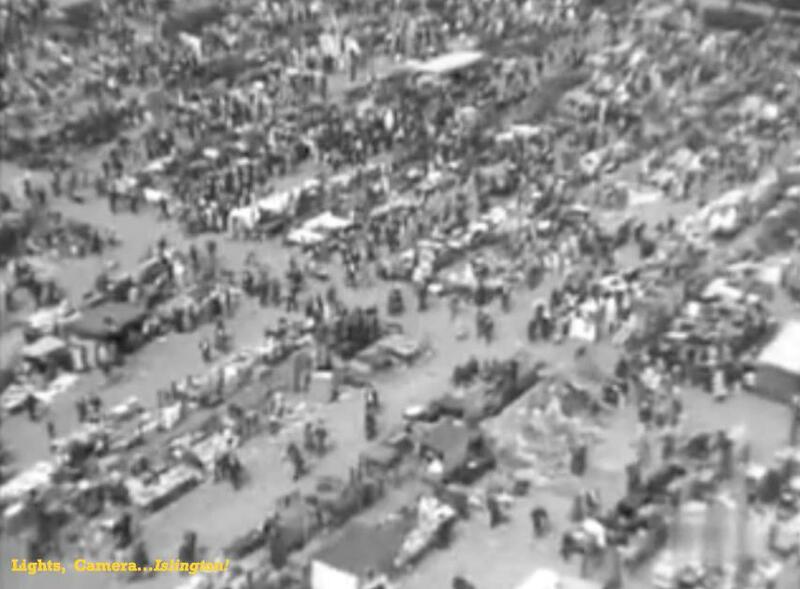 However, by the early 20th century trade in live cattle had declined and the Caledonian Market, became a bric-a-brac market until the breakout of World War 2. 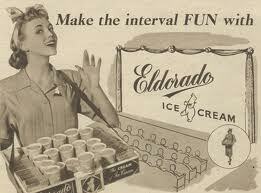 Ultimately, the conflict will mark the end of trading since, after the market moved to Bermondsey. Why am I telling about all this? 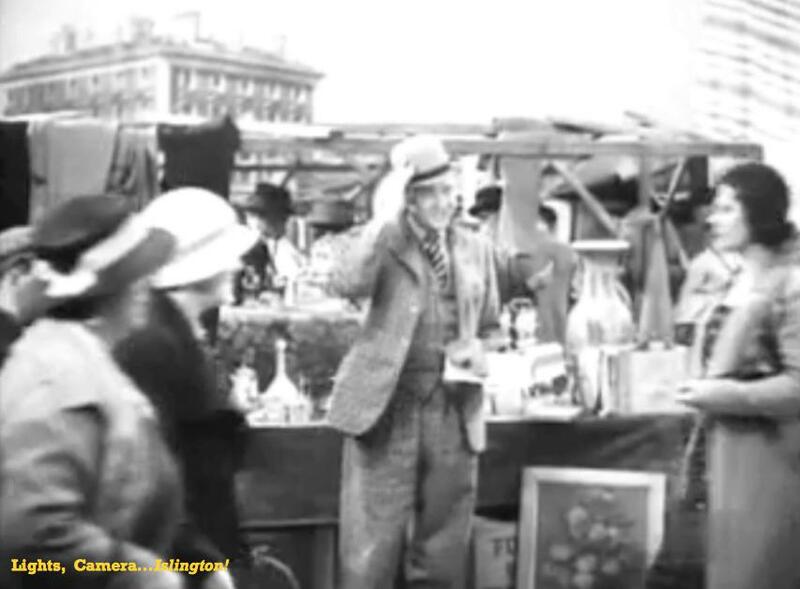 Because it is as a bric-a-brac market and shortly before WW2 that we get to spot The Cally, in a movie that offers us a brief snapshot of life at The Cally in the 1930s. 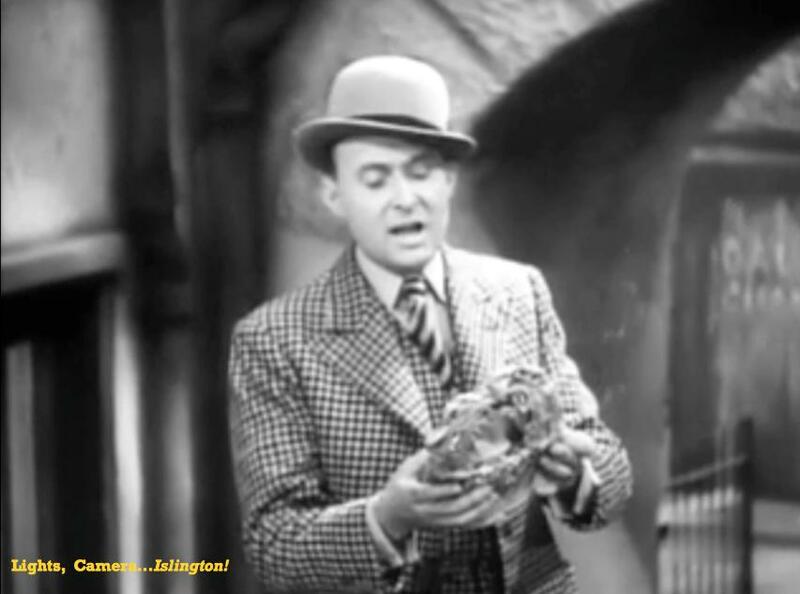 Friday the 13th (1933), a (local) Gainsborough production not as scary and bloody as the title may suggests, opens on a stormy London evening. Various individuals are on a double-decker bus when at midnight, lightening strikes a crane. In a desperate attempt to avoid the crane collapsing, the bus driver crashes into a wall. We then go back in time to see who were these people and why they were on that bus on that tragic night. 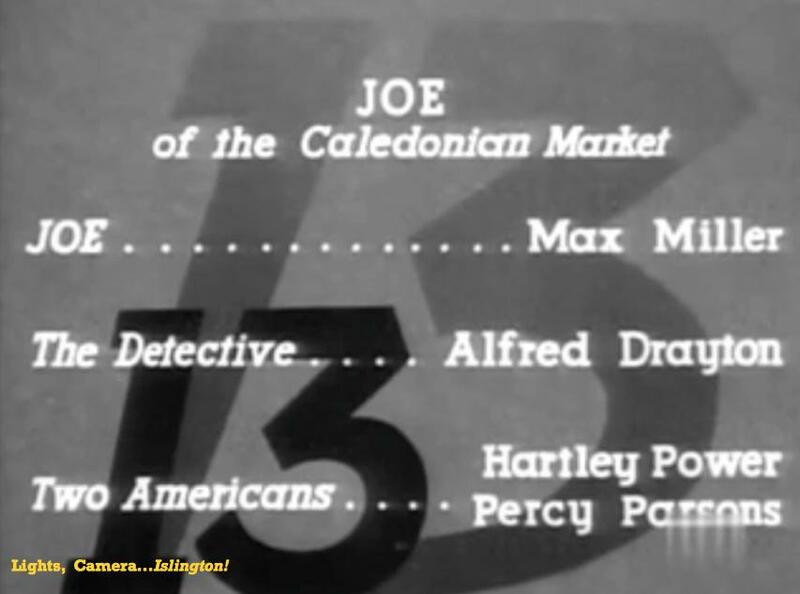 Among them is ‘Joe of the Caledonian Market’, played by Max Miller. 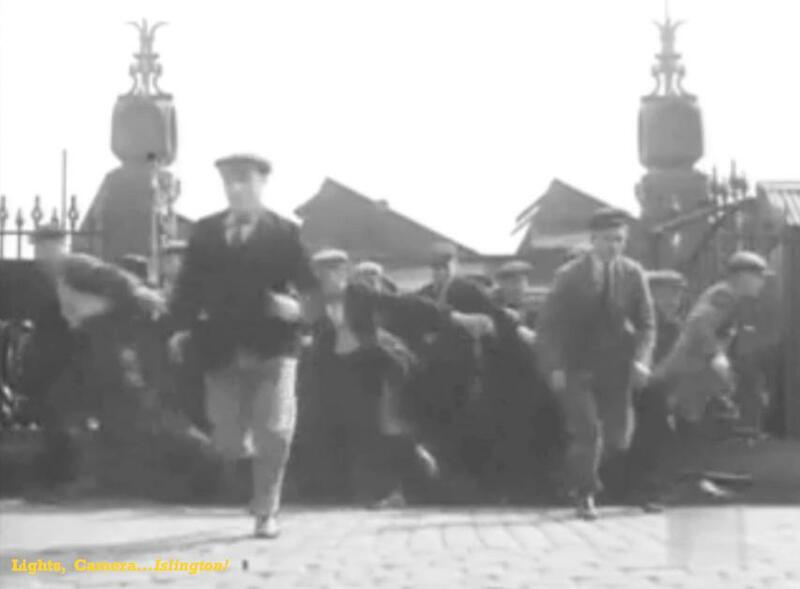 Then, later in the movie, we can see how traders wait for the Cally Clock Tower to strike 10 o’clock for the Market Gates to open and the mayhem that follows, presumably to take the best spots and get the best bargains. 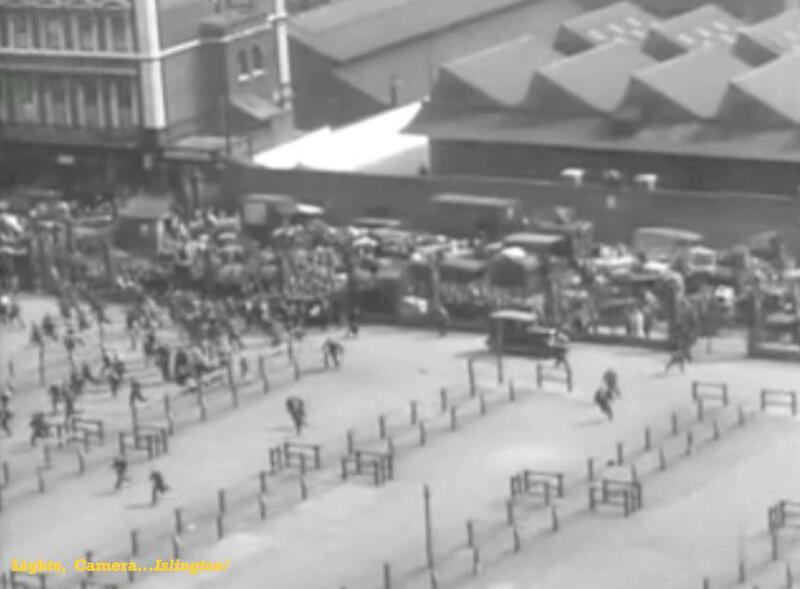 Images in many ways similar to those we see 80 years later on Boxing Day Sales. I truly recommend to watch Friday the 13th if you have the opportunity and you will most likely look at Caledonian Park and the Cally Tower differently from then on. 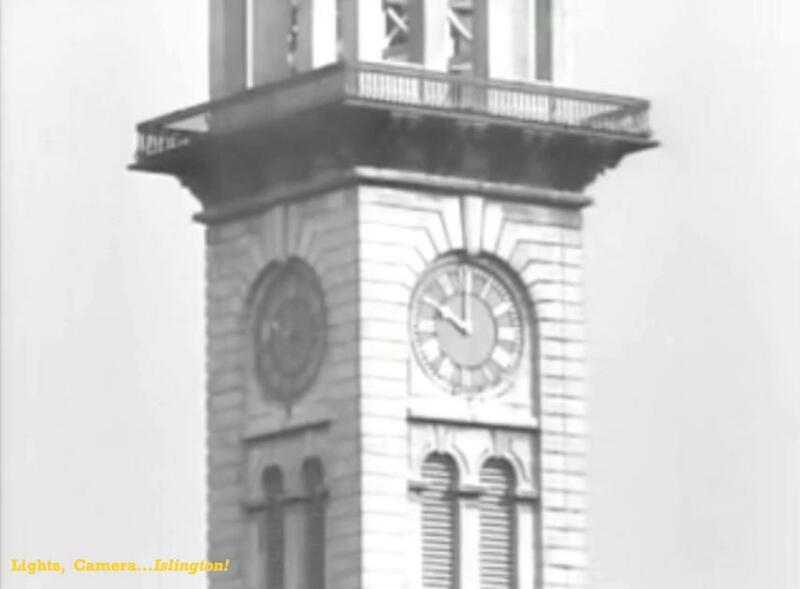 If you are interested, check out Islington Council’s website on a regular basis since they do organise regular Cally Clock Tower opening days! Enjoyed this post? Feel free to comment, share it with your friends and come to Islington to discover our locations! Don’t forget to send me your pictures. 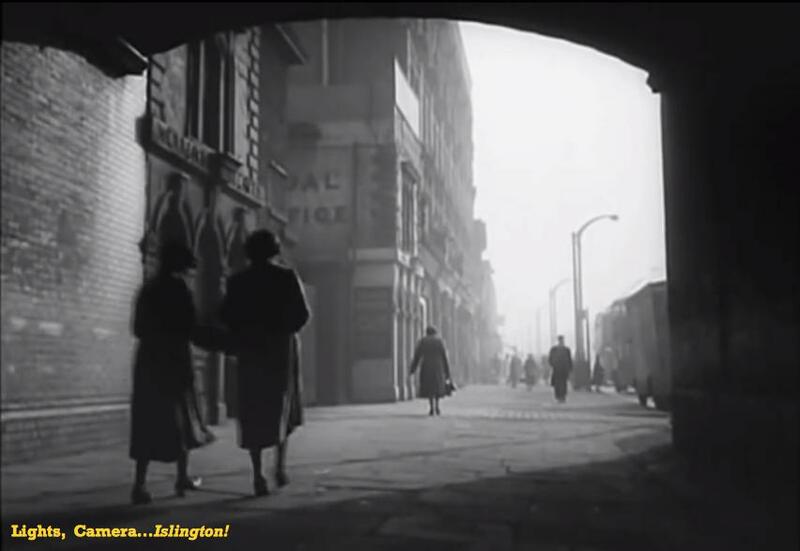 The last time we spoke about Turn The Key Softly (1953), we saw how the historic Holloway Women’s Prison also known as ‘The Castle’ stole the show in the first minutes of the movie and how three women of different backgrounds Monica (Yvonne Mitchell), Stella (Joan Collins) and Mrs Quilliam (Kathleen Harrison) were released on the same morning. 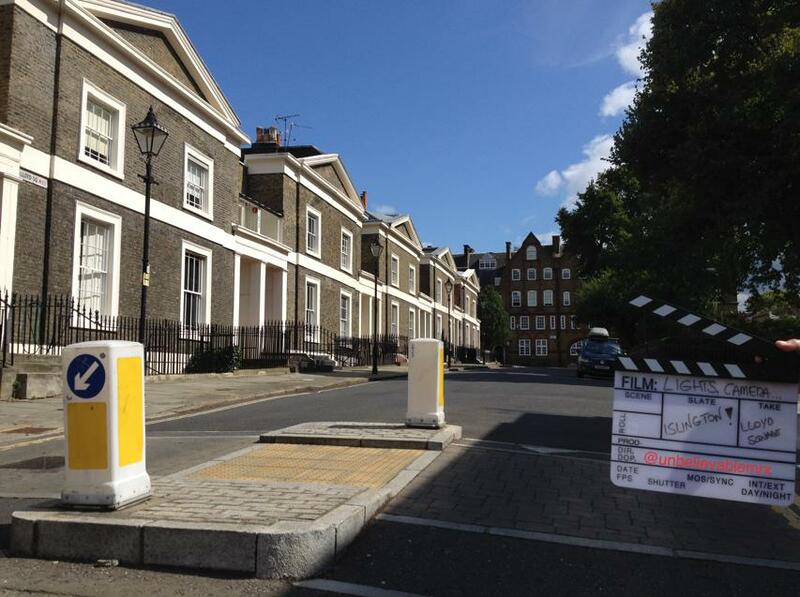 The following sequence of Turn The Key Softly was also shot in Islington. Not only nearby the prison, but it somehow followed a certain logic. When the 3 women leave prison, Stella’s fiancé is waiting for her outside and they soon vanish. 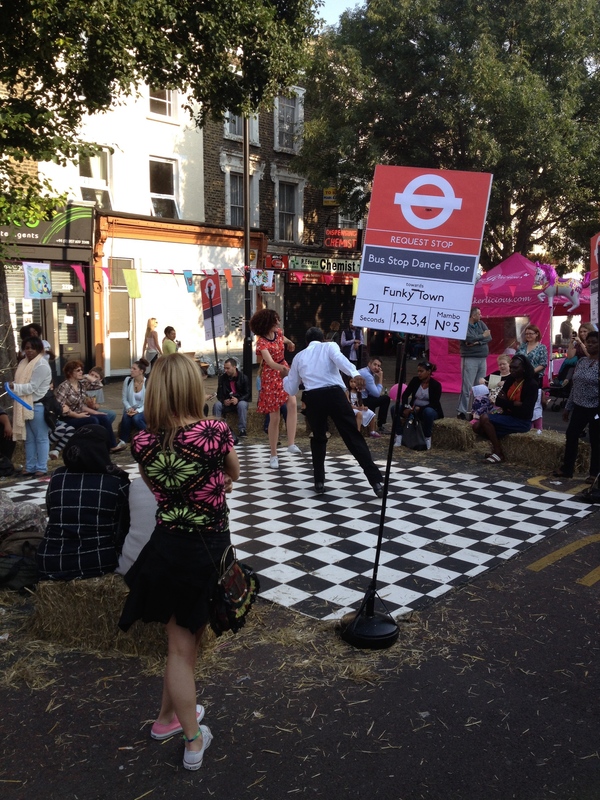 However, nobody has come to meet Monica or Mrs Quilliam and they make their way together to…Holloway Tube Station! 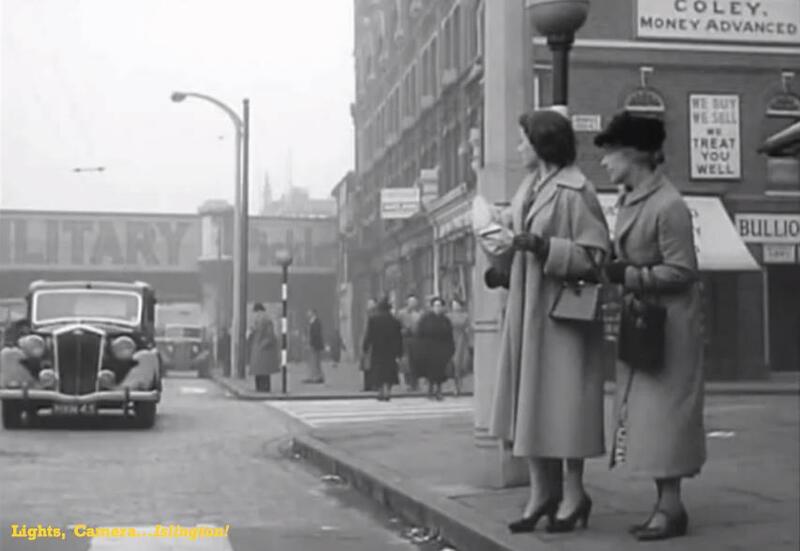 and waiting at the pedestrian crossing, at which point Holloway Road, the bridge and the tube Station are easily recognisable. After a few weeks spent working on movies shot on the sunny Italian Riviera (no I was not in Venice for The wedding), we are back in Islington and to talk about another British actor and A-Lister: Gary Oldman. Born in South London in the late 1950s, Oldman has been on our screens for the last 30 years, often in enigmatic roles in JFK, Dracula, The Fifth Element or Immortal Beloved – showing my age here. Younger audiences will of course know him from his roles in the Harry Potter and the Dark Knight franchises. In award-winning Cold War drama Tinker Tailor Soldier Spy (2011), Oldman plays George Smiley, a retired spy back in action to uncover a Soviet agent who has infiltrated MI6. 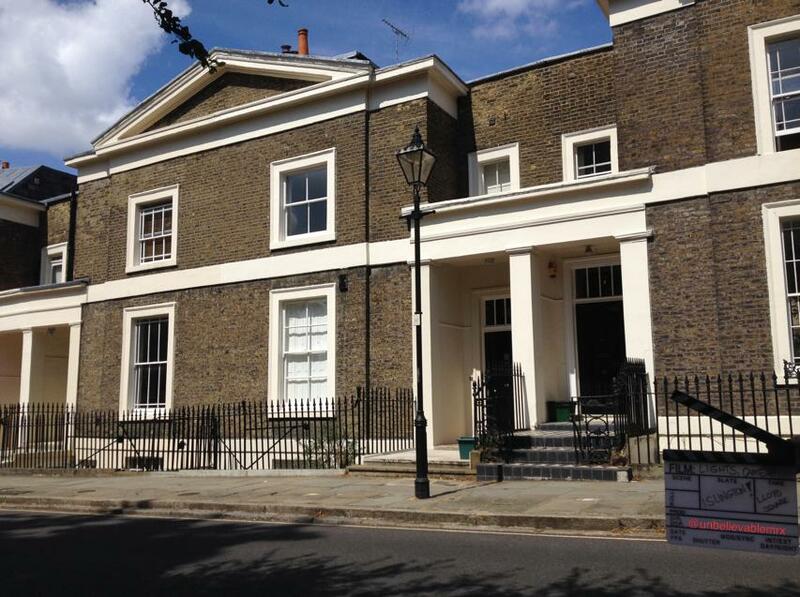 In the movie, George Smiley’s house is located in a quiet residential area, as you would expect from a spy. We can spot such house on 3 different occasions and from 3 different angles, most probably all shot on the same day in… Lloyd Square! And finally, right at the end of the film. So the next time you find yourself in Lloyd Square, you may want to double check that nobody is looking at you from behind the curtains. 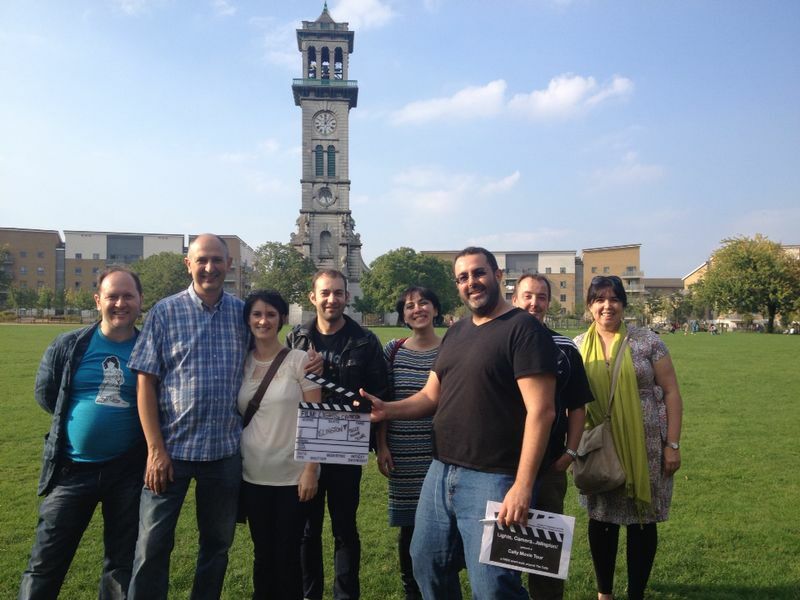 Last Sunday, making the most of the glorious sunshine, we joined The Cally Festival festivities, by organising our first Cally Movie Tour. 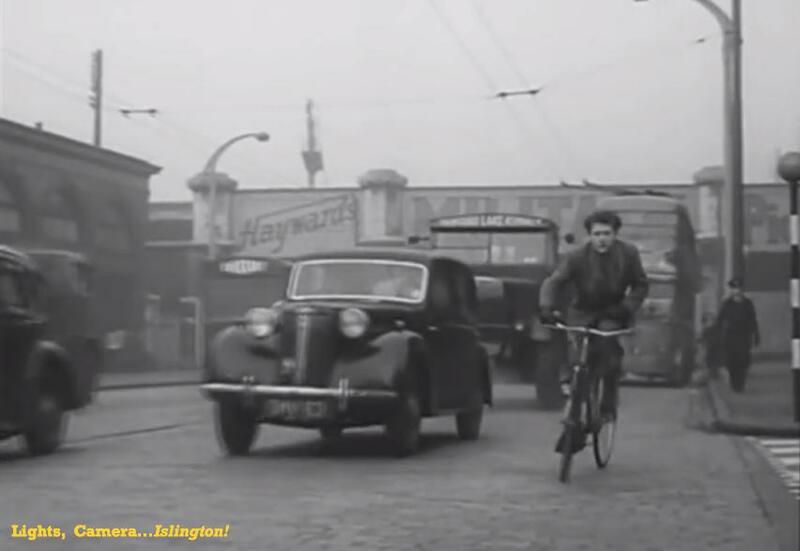 Departing from the West Library on Bridgeman Road, our Tour set to discover The Cally and its surroundings through some of the movies and TV series filmed there. 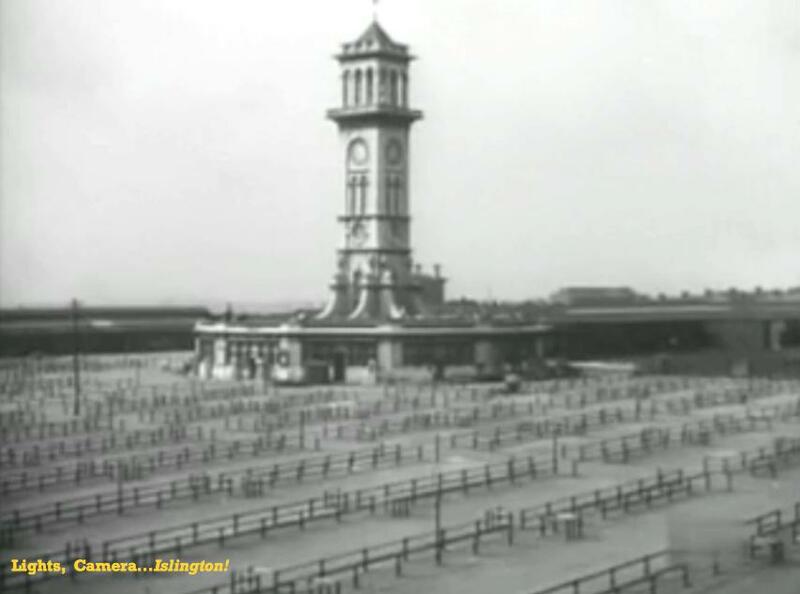 A group of Islington residents and Londoners coming from slightly further afield walked from Thornhill Crescent to The Caledonian Market and its Clock Tower. Icing on the cake, thanks to Islington’s Ecology Centre, the group was able to enter Barnsbury Wood. For most it was a first. Others recalled visiting friends living around the Wood and jumping the wall to play in it! Ready for Action in Barsnbury Wood! 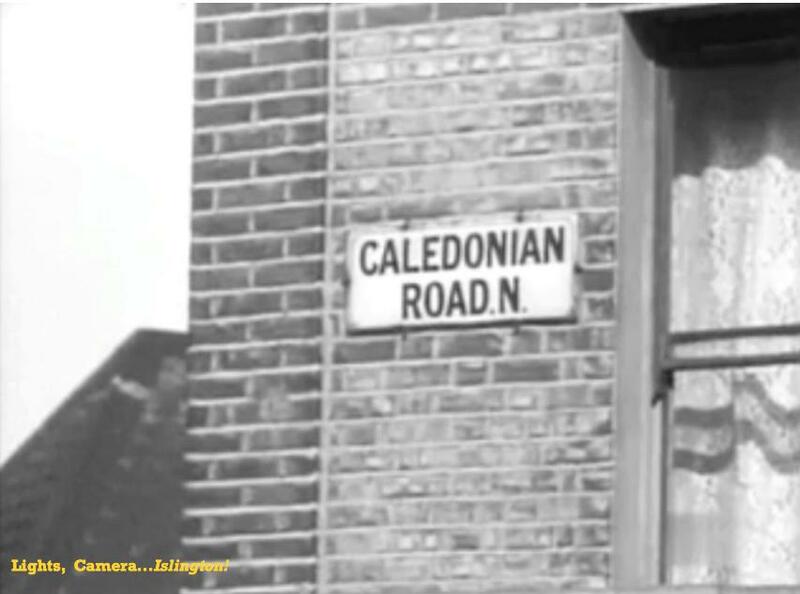 Following the steps of David Suchet, Alec Guinness, Peter Sellers, Colin Farrell or ‘Joe of the Caledonian market’, and thanks to stills and clips of movies shot between 1933 and 2010, we saw Caledonian Road taking centre stage. While on Frederica Street, talking about classic British dark comedy The Ladykillers (1955) a local stopped by. Not only he did confirm we were in the right spot (phew!) but that his mum had managed to get an autograph from Alec Guinness! 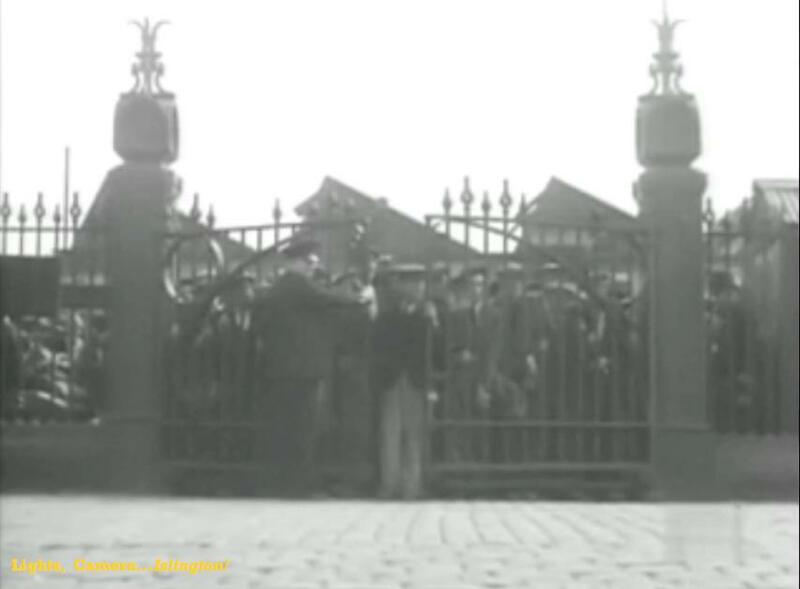 Once the Closing Credits were over, we all made our way back to The Cally to enjoy the rest of the sunny afternoon. 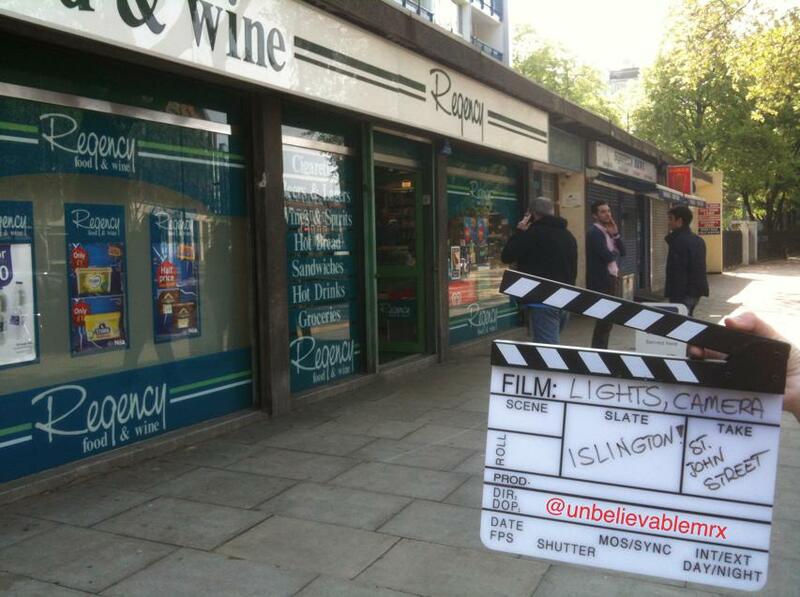 No plans yet but keep an eye on Lights, Camera…Islington! for future tours! 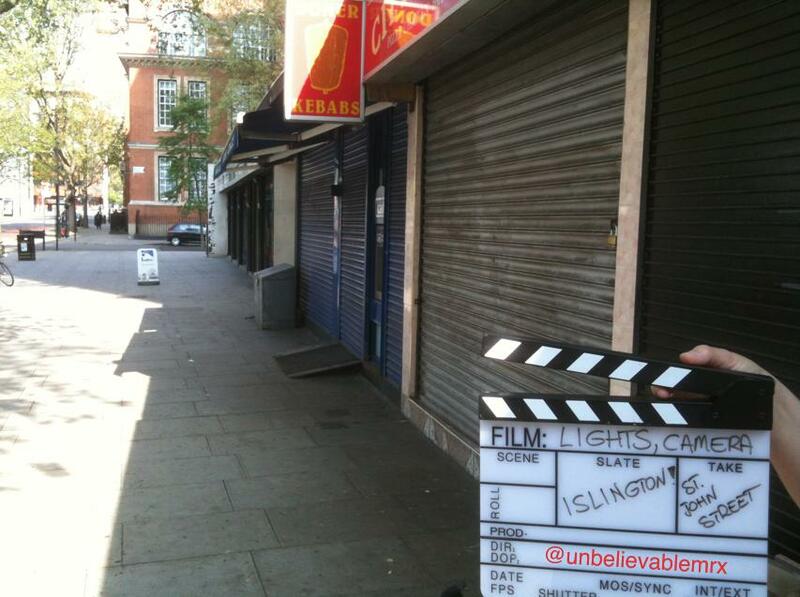 Enjoyed the Cally Movie Tour? Feel free to comment and share it with your friends ! Don’t forget to send me your pictures. 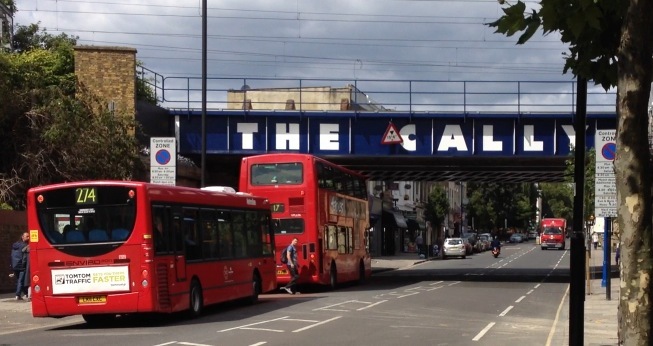 A FREE short Movie Tour of The Cally! From black & white to colour, from award-winning movies to TV series, join us to discover The Cally from another angle! Cally Movie Tour here we come! Closed for Extended Bank Holiday Weekend! Making the most of the last UK Bank Holiday before Christmas, yours truly is… enjoying a few days off! 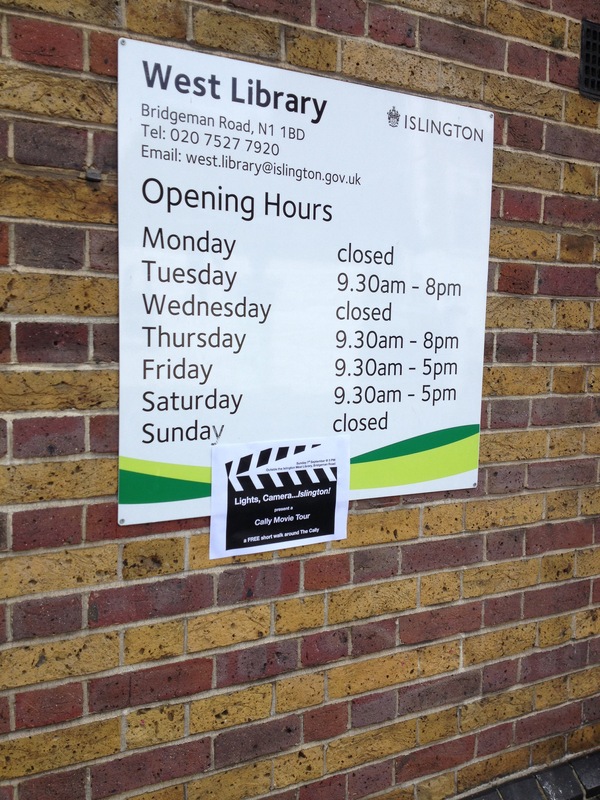 No new Islington Film Location this week then, but feel free to peruse our previous posts and Islington’s Filmography to choose a movie to enjoy, discover which Movie Stars ‘Live’ in Islington, find out which of our Tube Stations appears on screen and which Films were recently shot in the borough! If walking and wondering around Islington is more your thing, wherever you live or whichever area you fancy we will have covered it at some point. 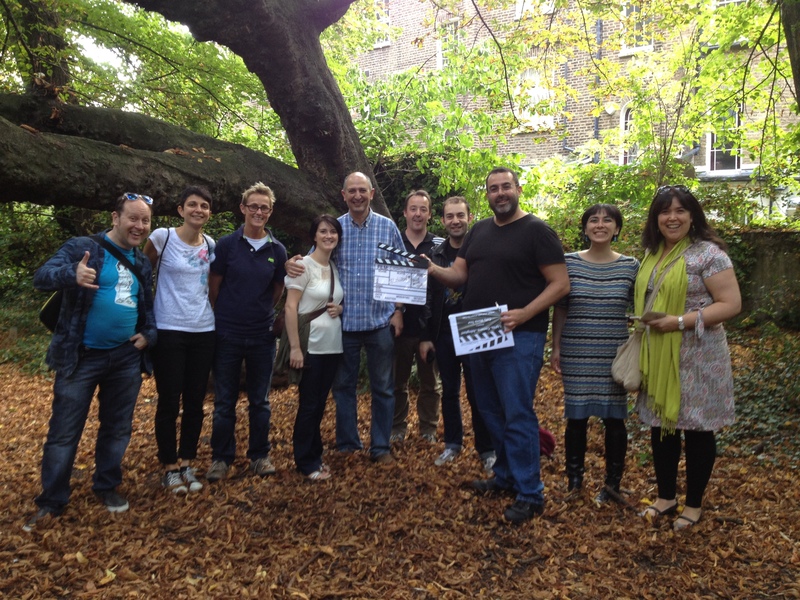 From Clerkenwell to Finsbury, Tufnell Park to Highbury or Holloway to St Luke’s, you can plan your walk with our Islington Film Locations Map. 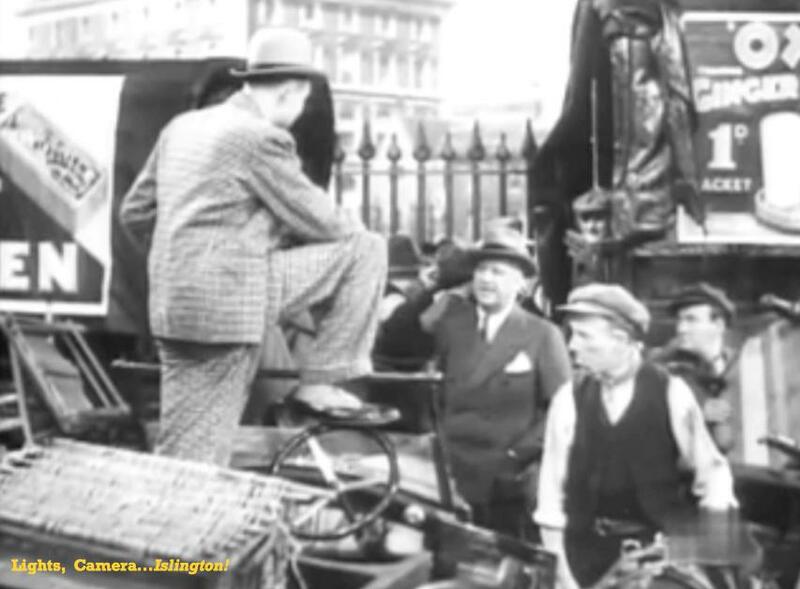 To whet your appetite, in the next few weeks we will be spotting Gary Oldman’s House, having a date with Ricky Gervais, and travelling back in time with a 1933 black and white movie featuring not only a scene but also a song to the glory of one of Islington’s iconic landmark! 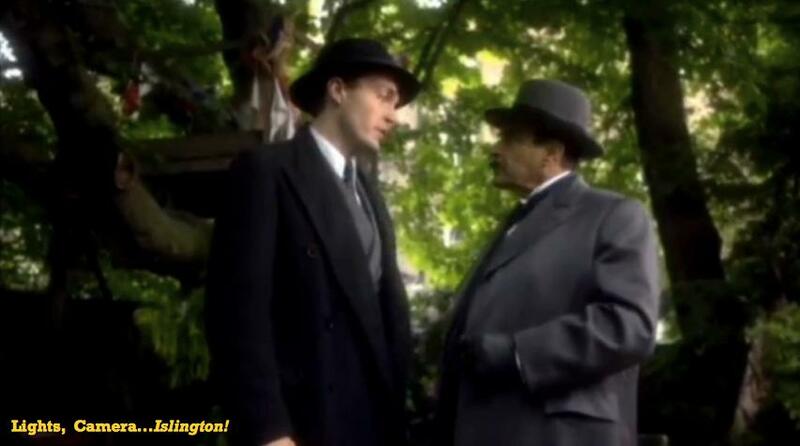 We saw some time ago how Belgium detective Hercule Poirot (David Suchet) came to the rescue of Lt Race (Tom Burke) to solve a Murder in Thornhill Crescent, or Wilbraham Crescent in The Clocks (Season 12 – 2009). However, it is fair to say that in this instance Agatha Christie’s hero benefited from some help. 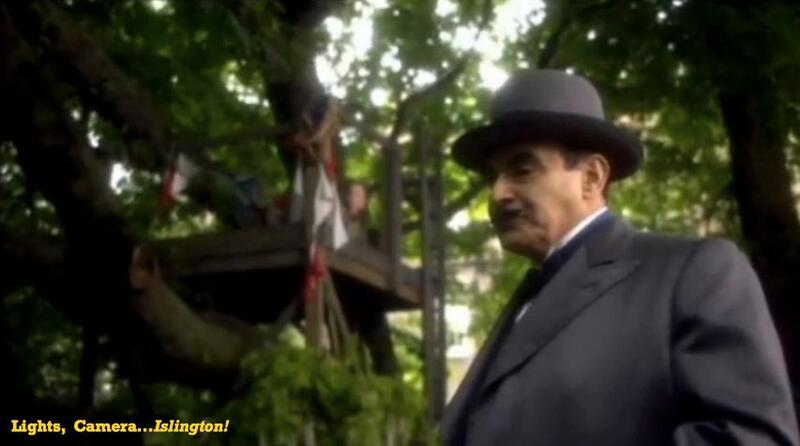 Indeed it is thanks to two young girls playing in their tree house at the back of the properties where the crime took place that Poirot will uncover the final piece of the jigsaw. While trying to solve the murder, Poirot and Lt Race keep coming back to Wilbraham Crescent to speak to the different neighbours and check alibis. 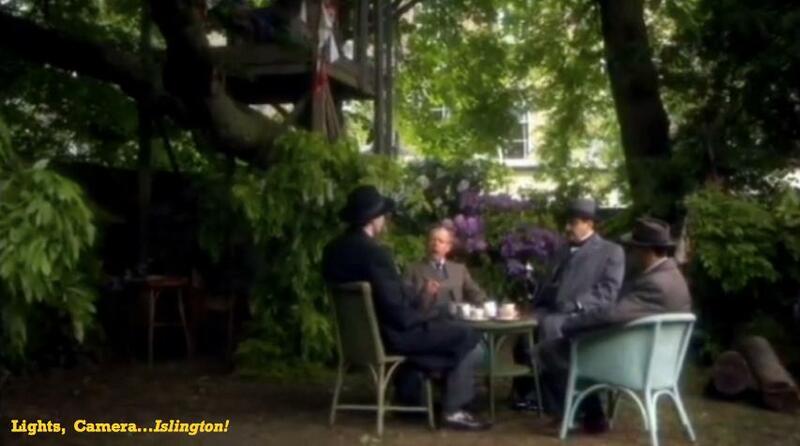 A few of those scenes and interviews take place in what seems to be the back garden of such houses. In those, a tree house can clearly be spotted with two young girls playing. They even talk to Poirot on a couple of occasions, enquiring about where he is from. 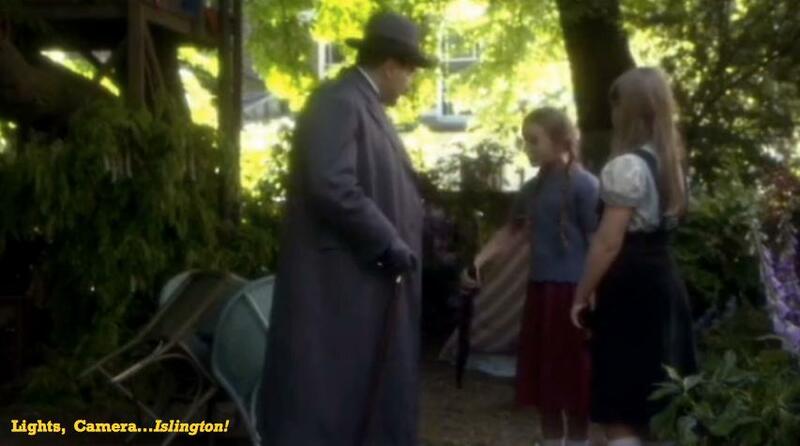 Finally, towards the end of the episode, they give Poirot a walking stick they have found. Such stick will prove crucial for Poirot’s case. So…where could you possibly have a tree house nearby Thornhill Crescent? The back gardens of Victorian houses are nice but not necessarily that big. However, you do not have to go far to find such place, but simply need to go over the wall or, more simply, enter Barsnbury Wood via Crescent Street! 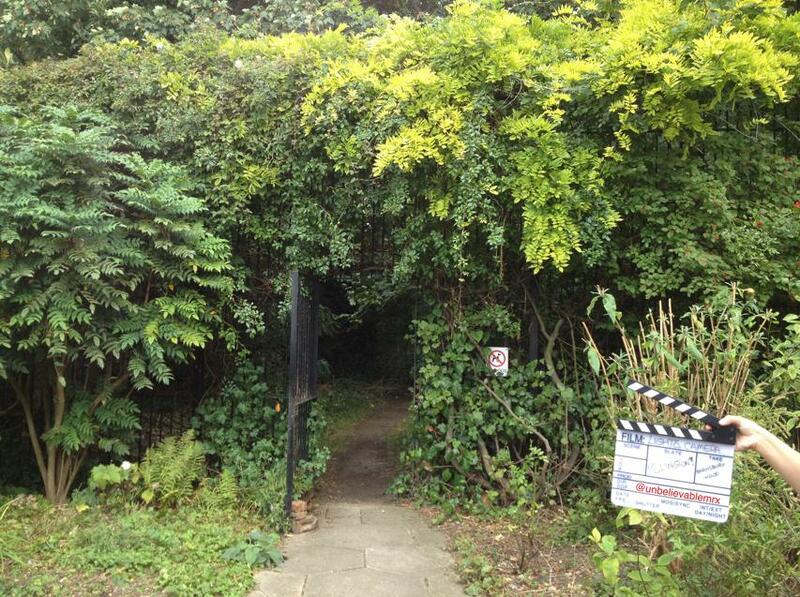 Now a Local Nature Reserve for wildlife managed by Islington Council, Barnsbury Wood was once the private garden of Number 7 Huntingdon Street, property of George Thornhill, Member of Parliament for Huntingdon who had developed the nearby square. Barnsbury Wood is open all year round on Tuesdays between 2 and 4 PM, and again during those hours on Saturdays from July to end of September thanks to local volunteers. Interestingly once in Barnsbury Wood, you do realise that what seemed to be the back garden of the houses was actually Barnsbury Wood overlooking such houses, it was shot the other way round! Again, a particular Thank You to our Twitter friends @thecallyroad and Jan in particular for pointing us in the right direction! 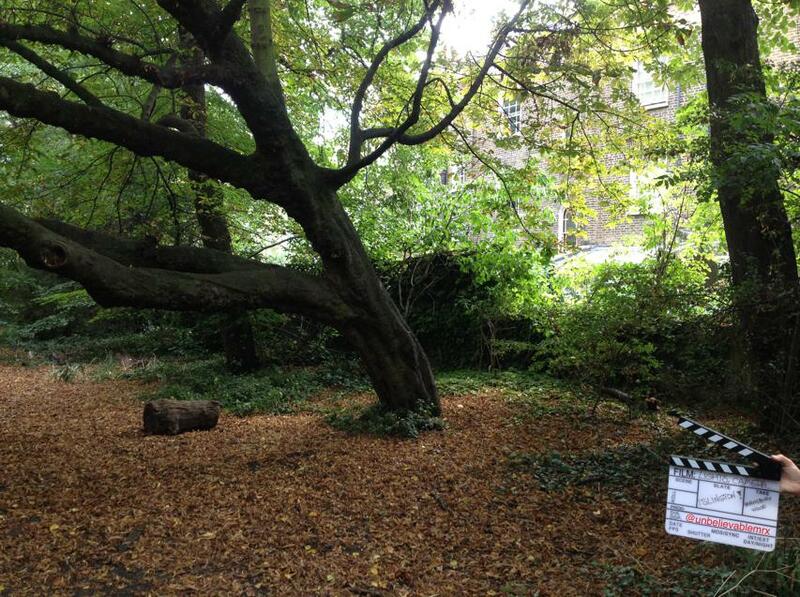 A few weeks ago we saw how Northampton Square, the Brunswick Estate and Emberton Court in particular as well as City University had taken centre stage in Incendiary (2008), a movie about the aftermath of a suicide bombing at a North London football ground, starring starring Ewan McGregor and Michelle Williams. Since they both live around Northampton Square, it is almost normal that another scene, an everyday one for that matter, ended up being shot nearby. Towards the end of the movie, Michelle Williams, the young mother who has lost husband and son in the terrorist attack can be seen popping to her local food shop. When she steps out, she meets the child she has befriended since losing hers with his mother: the son and widow of the suicide bomber. There, she realises that the son she had kept alive in her head is no more, and rushes towards her flat in Emberton Court. 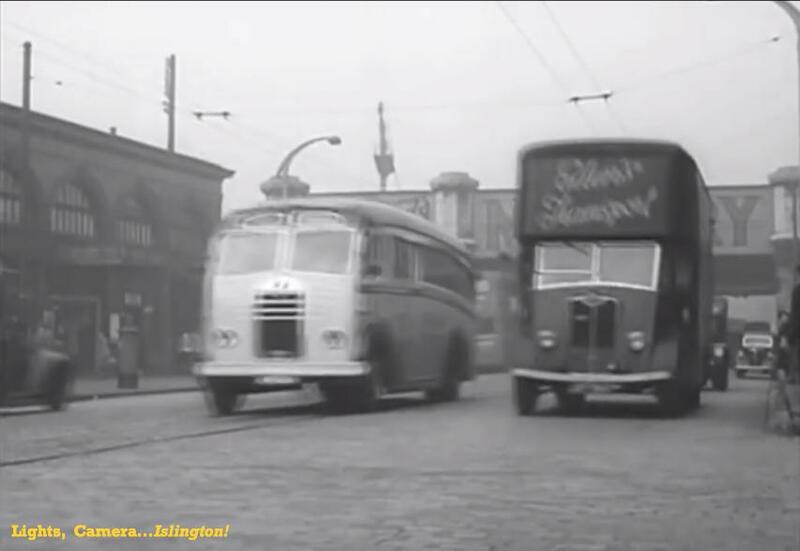 Such scene was shot in a place familiar to many residents and students: the row of shops and fast-food restaurants in St John’s Street, opposite Finsbury Library. The Library can be spotted very briefly when the camera faces the mother and her child, the food shop, the ‘Food & Wine’ shop at the corner of St John’s Street and Wyclif Street and the fast-food restaurants can be recognise more easily.